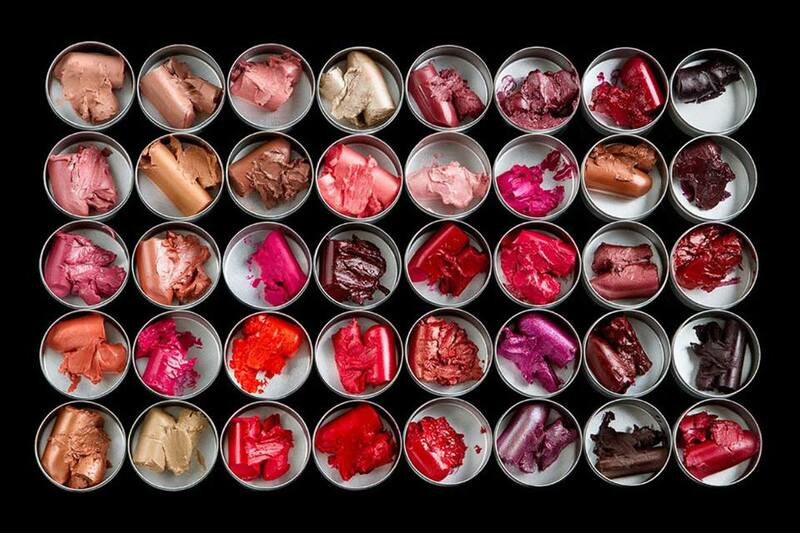 Join us for the Makeup In New York show, September 9th & 10th and sample our incredible line of cosmetics! 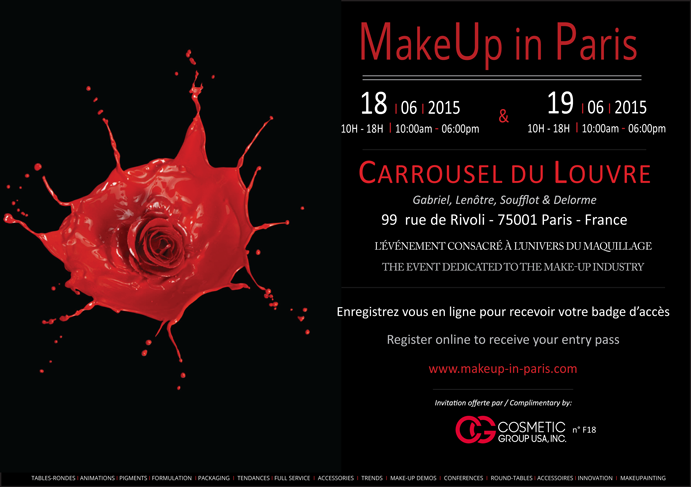 Cosmetic Group is showing at MakeUp in Paris, June 18 & 19! 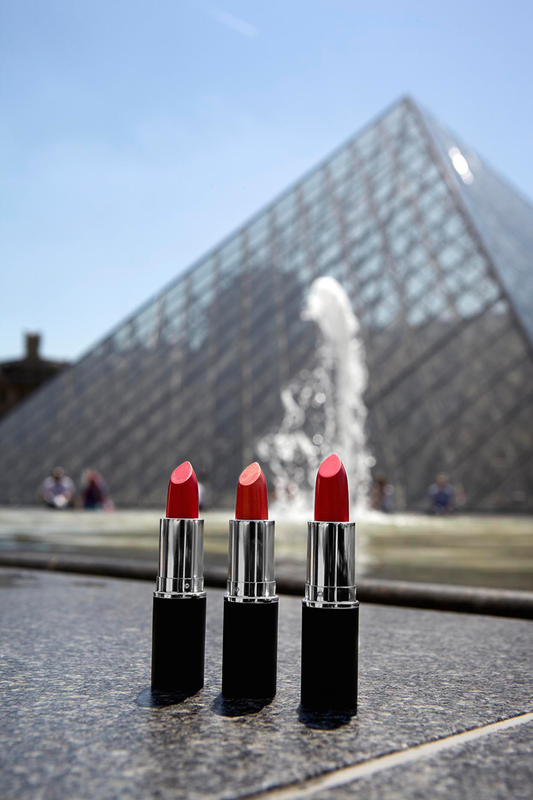 For the third consecutive year, MakeUp in Paris will invite the main actors in the ingredient markets. Seven companies this year decided to participate to MakeUPigments, an animation area of the show, exclusively dedicated to make-up ingredients. 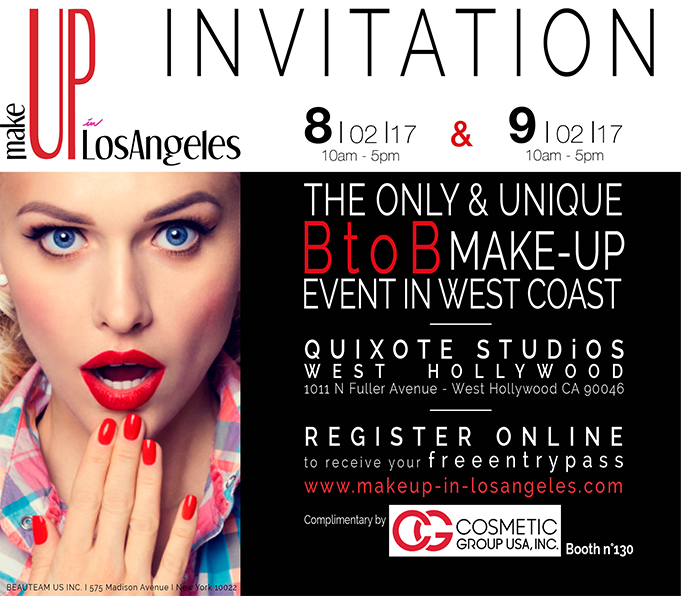 During two days, visitors will be given access to the very best in terms of suppliers dedicated to the make-up industry, from ingredients to formulations specialists, full-service companies, packaging and accessories manufacturers.